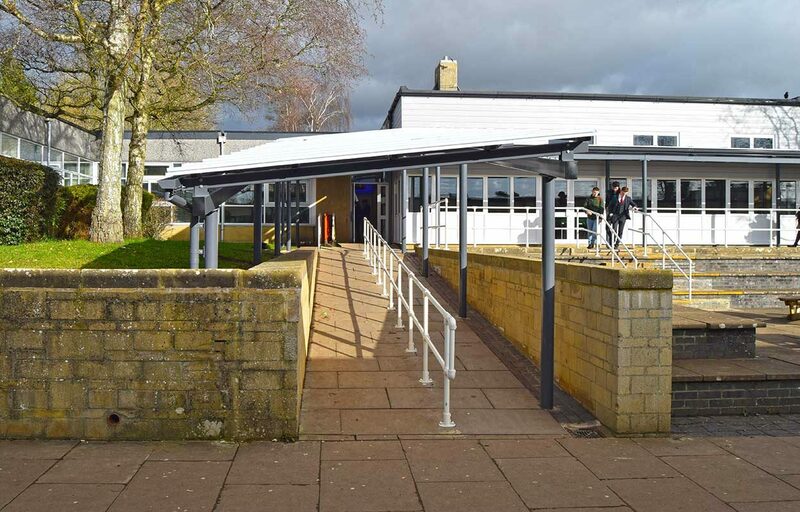 Fordingbridge were approached by Burford School who required a solution to provide weather protection for staff and pupils as they use the walkways connecting various classrooms. 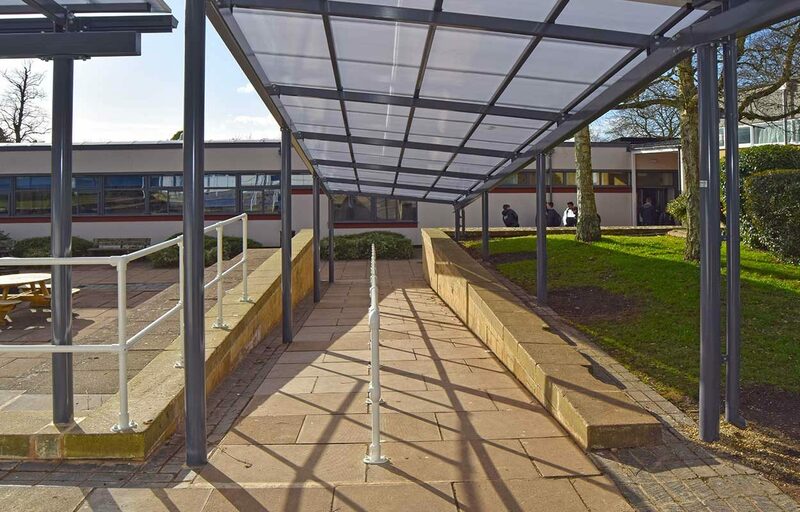 Our solution was a series of two steel mono-pitch walkways in a ‘T-shaped’ formation. This makes the transfer from classroom to classroom far more pleasant. 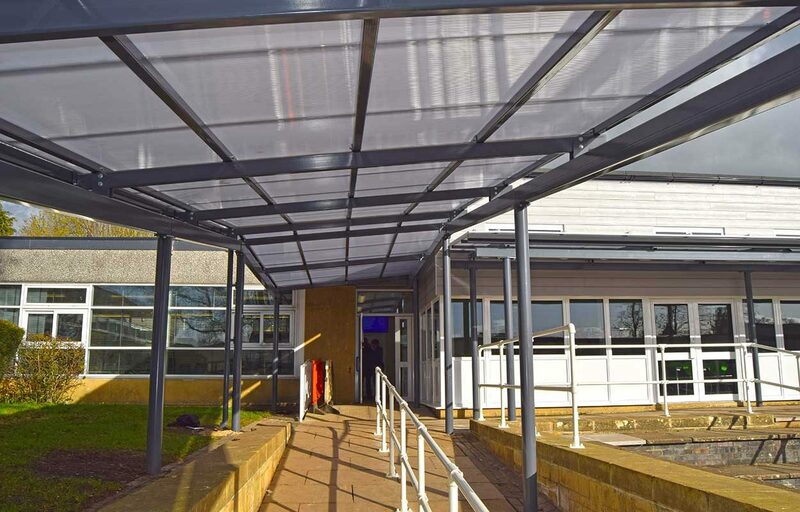 In the summer, the canopy provides shade in the classroom which keeps the room temperature cooler. 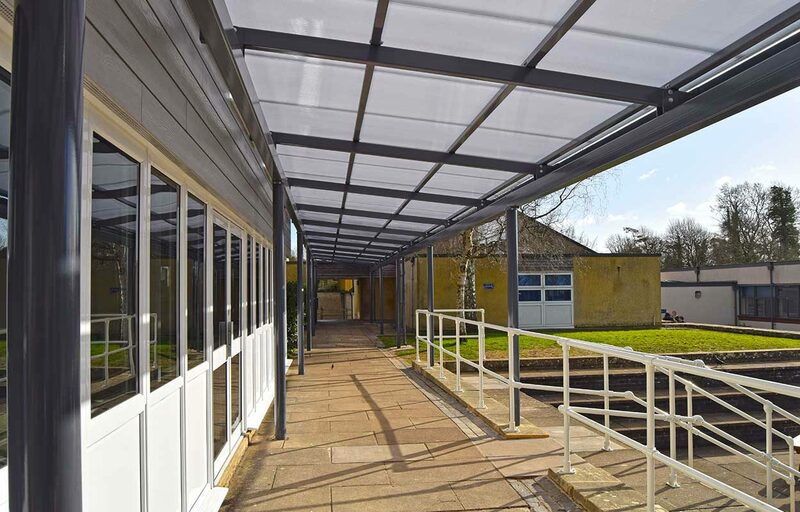 We offer industry leading guarantees on all our structures. 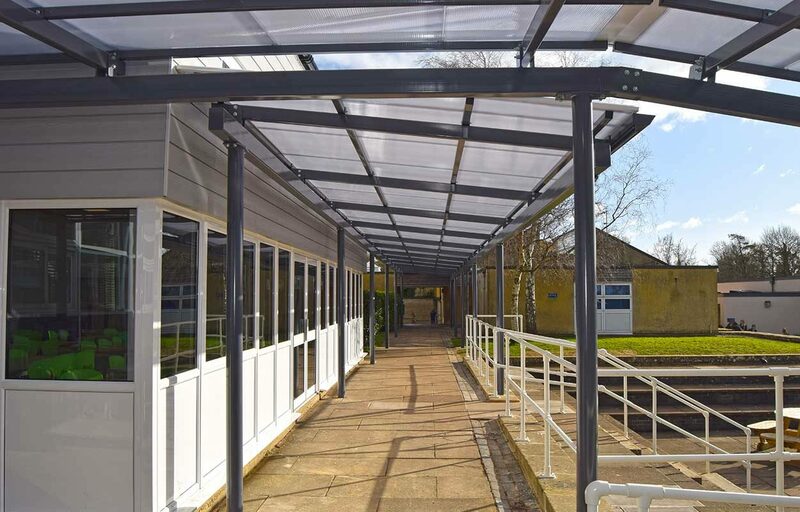 All of our steel work is designed and manufactured by our in-house technical team, meaning precision in design, engineering and speed of manufacture. Fordingbridge is a fully CE Mark approved manufacturer of steel fabrications.